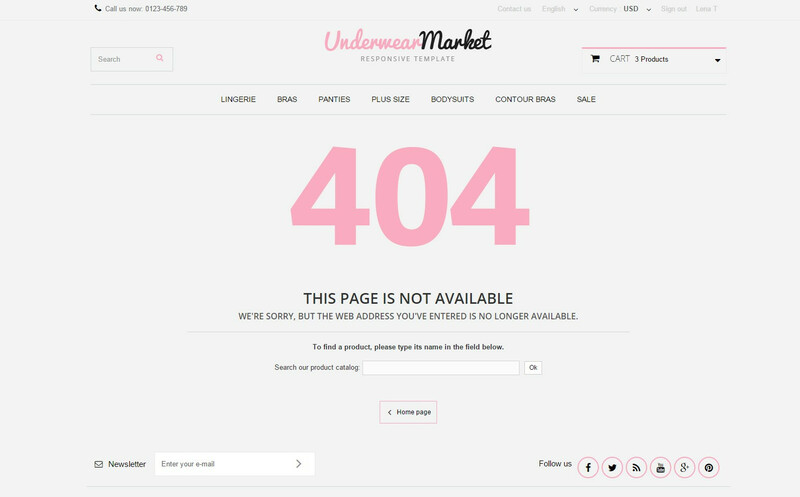 Girly and cute are what you will think of our new Underwear Prestashop 1.6 Responsive Theme, specializing for lingerie/underwear/sleep wear shop . 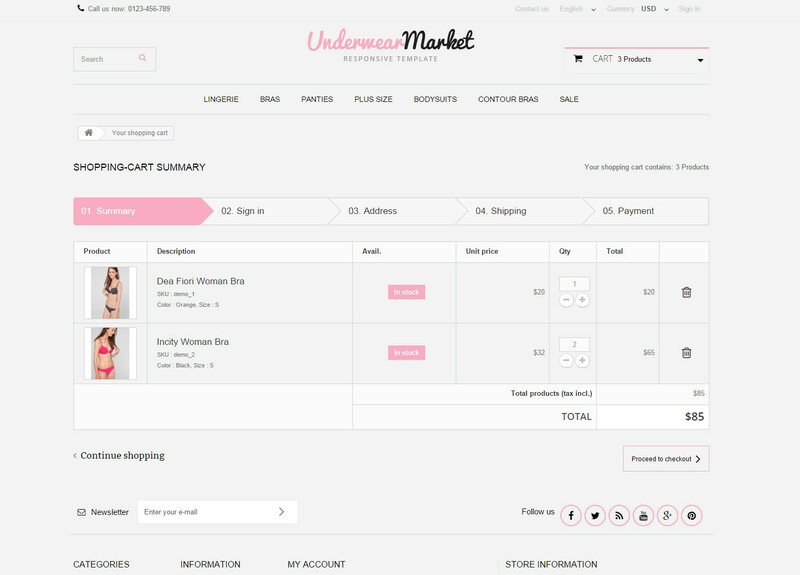 Mainly in pink and grey, it brings all essentials for an online lingerie store. Perfect colors combination and beautiful graphics with slideshow enhance visual effect and exquisite display. It fits any screen resolution, from PC to laptop, tablet and mobile. 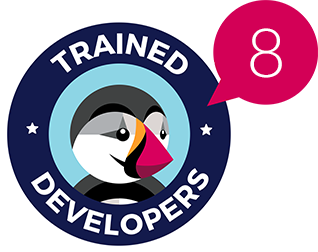 The most noteworthy integrated feature is top scroll module, which will make navigation a super convenient experience, also we want to highlight CSS transform for product images, banners, and icons with the help of which you can create a unique view of the store.